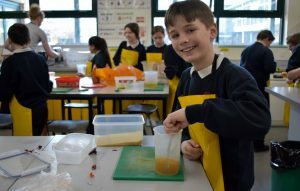 This week some students have been taking part in a Challenge Plus activity. Do we all need to go vegetarian? Or vegan? Is it OK to fly? Is it realistic to transform our energy supply? Would a ‘green tax’ work? Should I have fewer children?